An American celebrity attorney who acted for Michael Jackson has lost a High Court battle with Barclays Bank over a $540,000 loan relating to his time as partner in failed US firm Dewey & LeBoeuf. Mr Justice Popplewell said the bank had “discharged the burden” of showing that its relationship with L Londell McMillan, who has also acted for Prince among others, was not unfair. Mr McMillan represented himself at the hearing, with the help of a McKenzie Friend. Popplewell J said he could not describe McMillan as a “careful and straightforward” witness. “He was at times unwilling to accept what was plain on the face of documents and seemed to me to have convinced himself of a version of events which was inconsistent with the contemporaneous record. Delivering judgment in Barclays Bank v L Londell McMillan  EWHC 1596 (Comm), Popplewell J said that in the 1990s Barclays Bank developed a programme in its New York office for making loans available to partners in law firms to provide capital contributions. The bank agreed a scheme with Dewey Ballantine in late 2005, or early 2006, and the first partner draw-down was in April 2006. The firm merged with LeBoeuf Lamb Greene & McRae the following year. Popplewell J said Dewey & LeBoeuf filed for chapter 11 bankruptcy in 2012, leaving the bank with around $56m of outstanding loans to 220 former partners. He said Mr McMillan set up his own firm, specialising in media and entertainment law, in 1996, where he came to represent “a number of well-known musical superstars”. He later headed LeBoeuf’s entertainment, media and sports department, based in New York. In his offer letter from the firm, his annual “target compensation” for 2007-2009 was $1.5m. When the firm merged, Mr McMillan’s capital contribution of $540,000 was based on this compensation figure. However, Popplewell J said that it was not until 2010 that Mr McMillan signed the loan agreement. Barclays argued that, on the “plain wording of the written agreement”, Mr McMillan was personally responsible for repayment of the loan. The judge rejected the former partner’s arguments in his defence, which had “not always been advanced consistently or coherently”. He rejected the argument, on construction, that the purpose of the loan was not to fund his capital account, but provide working capital for a firm in financial difficulties. The judge also rejected the argument that there had been a ‘sham’ transaction, because Mr McMillan did not need the loan. 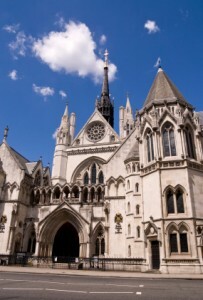 Popplewell J said there was no misrepresentation of an unremedied event of default, no unfair debtor-creditor relationship and Mr McMillan’s counterclaim, based on breach of duty to advise, also failed because the bank had no relevant duty. Mr Justice Popplewell ruled that the bank was entitled to judgment against Mr McMillan. In March this year, the High Court rejected the Barclays Bank’s application for summary judgment in respect of a loan to another former Dewey & LeBoeuf partner, Charles Landgraf. It has been reported that his case has since settled.